About 60% of users have admitted to reusing passwords to avoid having to remember multiple sign ins. Logging in to a site is so annoying for most people they're willing to compromise their security to make it easier. Your company's login is the first impression of its services. For customers, the login experience is a proxy for how your product and customer service will fare later. If your login is inconvenient, unclear, takes too long, sticky or clunky, you could be losing customers who will never come back. Below are some examples of counterintuitive logins as well as solutions to ease the login process for your customers. 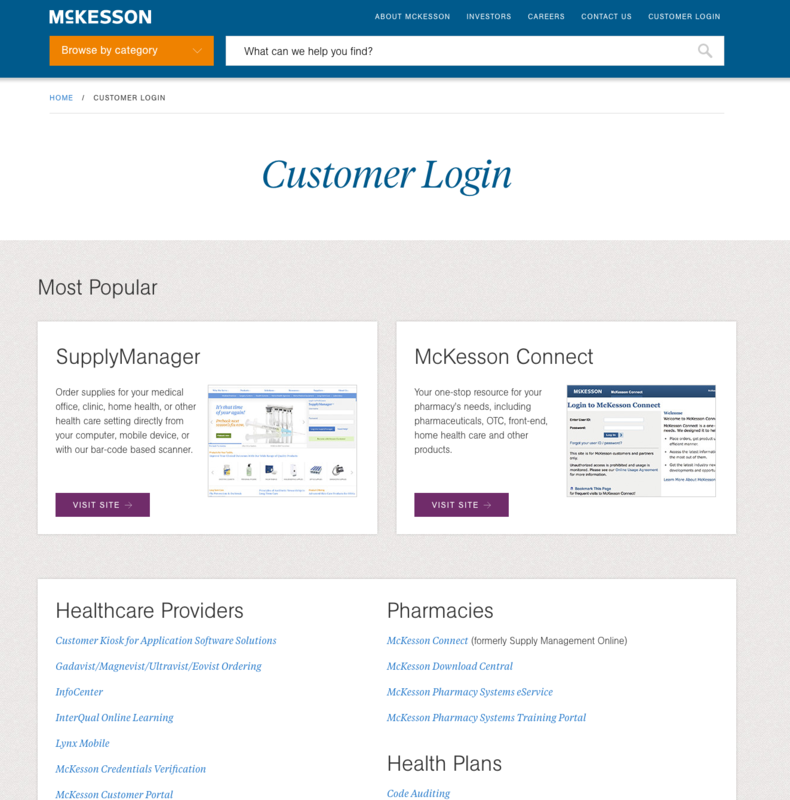 Users have to pick one login pathway from a list of 34 options just to enter the website for the health care solution provider McKesson. This company offers 34 different login pages on 34 separate sites, when it could just be one easy login that funnels you to the right place. A login like this is daunting for customers. Having too many steps to your login process will turn customers off and they might move on to a competing site. Loyalty programs, in particular, are notorious for having too many steps required for logging in. On the first page for many of these sites, customers have to input their username and passwords. From there they may have to answer security questions or log in again through their bank, credit card, or other partners to be authenticated. Logging in should be as easy as entering a password or, ideally, clicking a button. There shouldn't be too many steps and there also shouldn't be winding pathways to get to the login page itself. Auth0 offers Passwordless login which is both secure and fast. It uses email or SMS to authenticate customers and moves them quickly into the site. By clicking on a magic link, users can fly past the login panel to enter the site. It's more intuitive and secure than a wall of login options all leading to different sites. 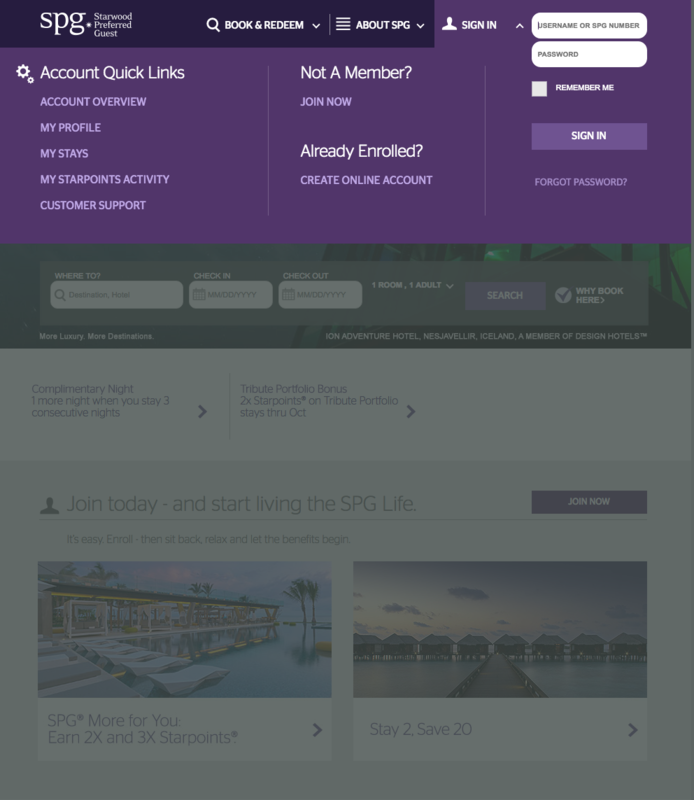 When you try to log into Starwood Preferred Guests' Guest Loyalty Program via multiple devices you have to answer annoying security questions. Pages that take longer than three seconds to load can result in a 7% reduction in conversions. That's just loading. When customers have to spend longer than a few seconds logging in, there's a good chance they'll leave too. 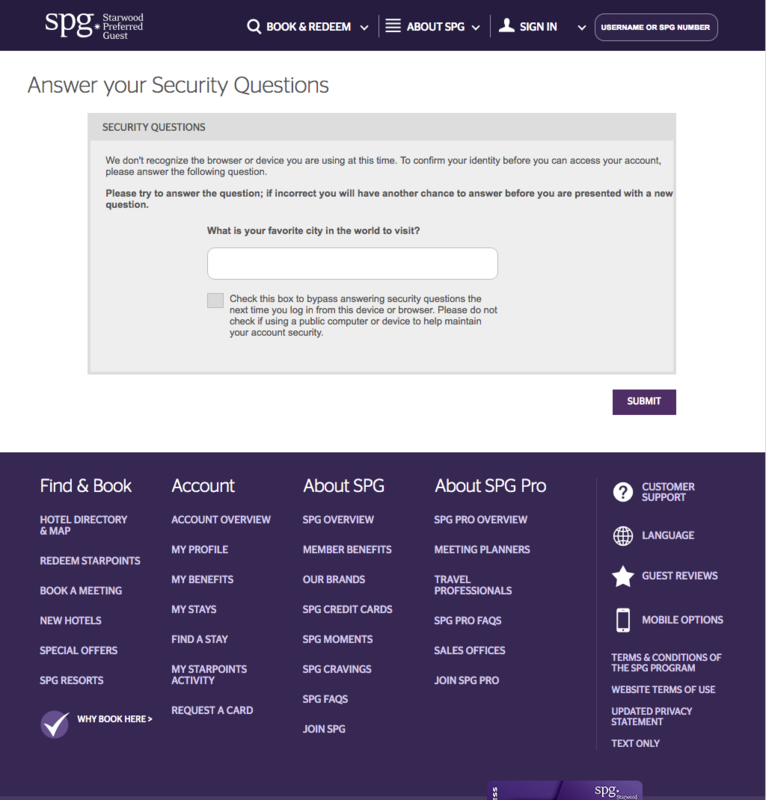 Security questions like Starwood's can frustrate customers so much they bounce from the page. Banks and credit cards often have lengthy login processes in order to authenticate users. They'll also ask security questions or require extra passwords. And while security is important for these services, there are more customer-centric ways of providing a secure login and digestible user interface. Single Sign On (SSO), for example, automatically links logins through federated identity so users can log in from multiple devices and across different domains. Federated identity provides a single access pathway across multiple systems through a variety of enterprise sources. SSO authenticates and authorizes users so they can enter the site quickly without having to deal with a series of security questions while still keeping the process safe from hacking. 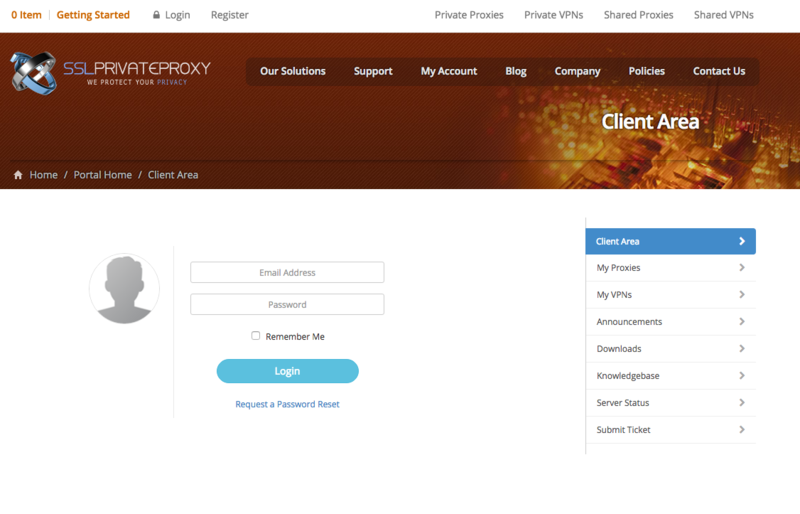 It's not clear where the login is for SSLPrivateProxy, shown below. Is it “Getting Started,” “Login,” or “Register”? Any of these, which are all located in the upper left-hand corner, could be entry points for the site. Counterintuitive design for login panels can frustrate customers and waste their time. The login panel should be front and center on the landing page. Or, if not center, at least easily accessible as soon as the customer enters the website. Customers have to spend an extra second deciding which one to click on. And even from there, instead of a small login widget, which hovers upon a click over the landing page, customers are taken to a completely new page to log in. This login wastes time and might even prompt some customers to leave or avoid using the site. Login is only the gateway for your website, it isn't even your product. And, yet, when the login design, interface, and experience is complicated or annoying, customers have to spend time carefully considering how they will sign in. This doesn't count the actual logging in which may include trying multiple passwords, password resets, or new registration. Clean and easy login can not only boost the user's experience, but it can lead to drive MRR. Customers love social login so much it's even driving growth and conversion rates for many companies who have employed it. One company reported that social logins lead to a 40-60% increase in conversion rates for them. Some said they saw a whopping 130% increase in conversions due to social login. Social login has the dual effect of making your site easier to enter and use while also making the whole design look cleaner. Clean design actively invites customers in, making them more likely to spend time on your site and trust your company's products. Our Lock widget is a beautifully designed, all-in-one, embeddable login box for your apps. It provides sign up, sign in, password reset, and other features that are ready to go. The widget’s styles can be easily customized to line up with your brand, and you can use one of our pre-made themes to help. 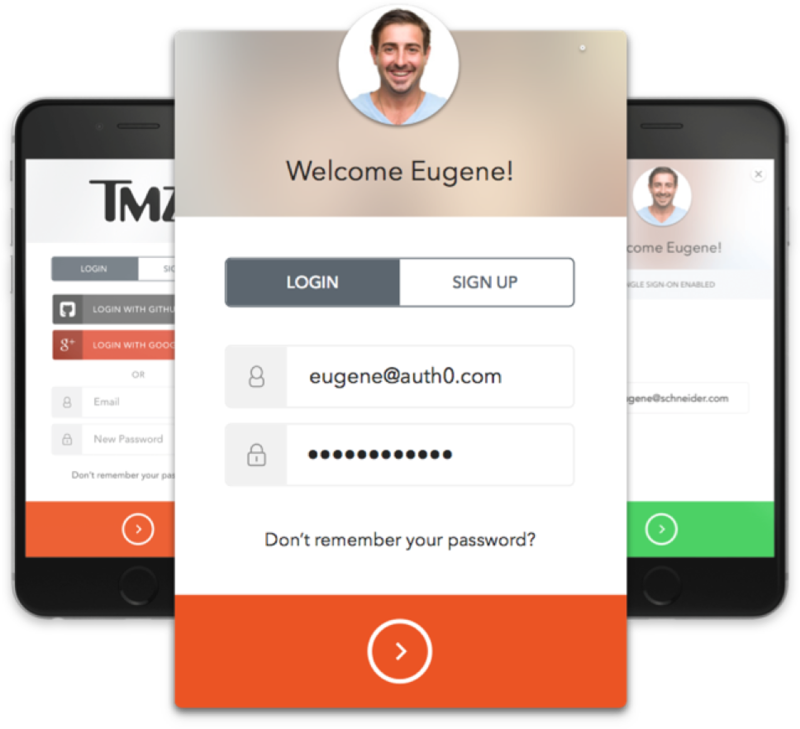 Unlock the power of a good login experience with Auth0 Lock. Try our live demo in the Auth0 Lock page. Login is the gateway to your whole website and your product beyond that. If customers feel like there are any roadblocks to them entering your website, they'll move on to another. There shouldn't be any obstacles for customers to enter your site beyond basic authentication. They shouldn't even have to do more than press a button to be allowed in. By making login easier for customers with passwordless login, social login, or SSO, companies can actually boost business overall. It's a win all around.